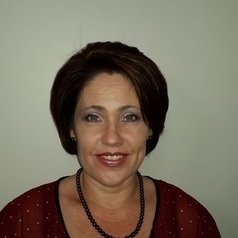 Rika Butler is an Associate Professor in Auditing at the School of Accountancy at Stellenbosch University. She is the subject head of HonsBAcc Auditing and Program Coordinator of the MCom (Computer Auditing) program. She holds a BCom (Hons)(Acc) degree and Certificate in the Theory of Accounting (CTA) from the University of Pretoria, and a MAcc (Computer Auditing) degree from Stellenbosch University. Rika is also a qualified CA(SA). After completing her trainee contract with PriceWaterhouseCoopers (PwC), Rika joined academia in 1996. She started her academic career at the University of Pretoria and has been lecturing at Stellenbosch University since 2001. She has extensive experience in lecturing students, at both undergraduate and post-graduate level, who are studying towards becoming a Chartered Accountant (CA). Rika provides study guidance to students studying towards obtaining a Masters degree in Computer Auditing at Stellenbosch University. Rika has written and published numerous articles in various academic accredited journals, both locally and internationally, mostly on matters relating to Information Technology (IT), internal control, IT Governance (ITG) and auditing in computerized environments. She has also presented papers on her fields of interest at both South African and international conferences. Rika was one of the Authors of the Oxford textbook, Auditing Fundamentals in a South African context. She also acts as an ad hoc reviewer for various accredited academic journals.